For the second week in a row, my Friday night horror movie extravaganza is thwarted by forces out of my control. Last Friday was Paranormal Activity 2 - in which I had to walk out of the theater because of a room full of d-bags. This Friday it was The Monster Squad, and it turned up missing because PorkRice took it from me when I wasn't looking. I spent the entire day planning to watch both movies on the respective nights. 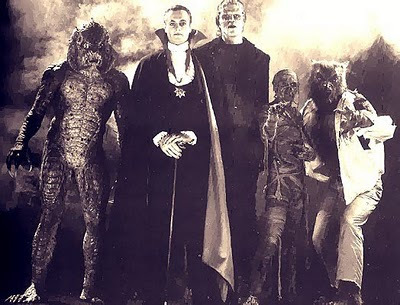 Instead of bitching about it any longer, I look up all of my favorite scenes from The Monster Squad. Here you go. Kick him in the NARDS! He's gonna kill your son!